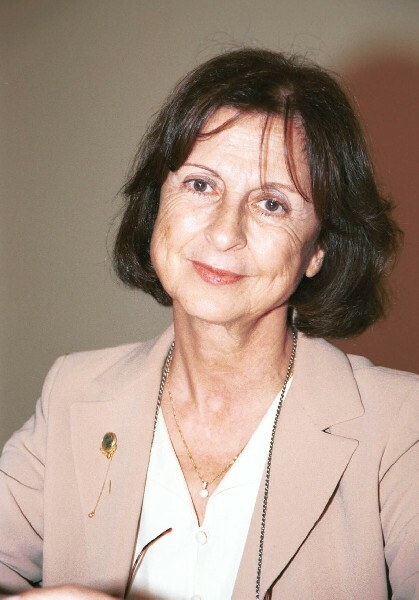 May Menassa is a Lebanese novelist who has, since 1967, written seven novels and contributed the prestigious daily newspaper Al-Nahar. The plot of The Sewing Machine, her latest novel, is inspired by her family saga and woven on flashbacks about the Lebanese civil war as a background canvas. This autobiographical novel is a testimonial to her mother who died while resolutely asking for her missing sewing machine. This insistent and obsessive question, while setting the author on a quest for the lost object, also awakens an emotional description of her family dynamics. The sewing machine is nothing but a pretext, an alibi, not unlike Proust’s Madeleine exploring her mnemonic labyrinth. This metaphor is also a triggering impetus to relate and retrace the story of the beloved brother, the poet Victor. The contrasting narrative strand explores the human impact on Menassa’s silent mother, who suffers stoically through the story of her stern, severe husband and her psychosomatically ill son. The author attempts to fulfill a debt towards the mother she loves and admires. She loves her for her nobility and inventiveness, despite the family’s poverty; she loves her for her restraint and constancy, despite life’s tribulations, deprivations and hardships. The novel is also an exquisitely tender story of love between Menassa and the photographer Mark. It is through viewing his photographs that the plot unravels. This love story grows amidst the temple of Baalbeck’s majestic columns; it beats desperately against the taboos of Oriental tradition. After having found the sewing machine at the city of Tyr, the new owner refuses to sell it back to her. Menassa then portrays happiness as the infinite sorrow in her relationship with Mark. Her feminine pen, flowing without any trace of feminism, leaves the reader with sighs of sadness that characterize Menassa’s personal temperament and disposition. An inveterate optimist, she pushes the spiritual meaning of human existence with profound compassion. Throughout her oeuvre, May has displayed courage in her willingness to explore a variegated stylistic repertoire. The Sewing Machine has formal similarities to her previous books. Her characters seem to travel and migrate with her from one novel to the other. In this instance, she favors a clear, limpid style from where her autobiographical voice cannot be hidden. Not unlike the world renowned author of the Prophet, Gibran Khalil Gibran, who is a son of Lebanon and Boston, Menassa is, like him, a daughter of the same village, Becharre. She reminds us of Gibran’s seminal novel, “The Broken Wings,” where both novelists address their reader in the third person. Maintaining a grounded feel of everyday throughout her novel, Menassa’s incorporates lyrical images of love that hover between musical and pictorial beauty.